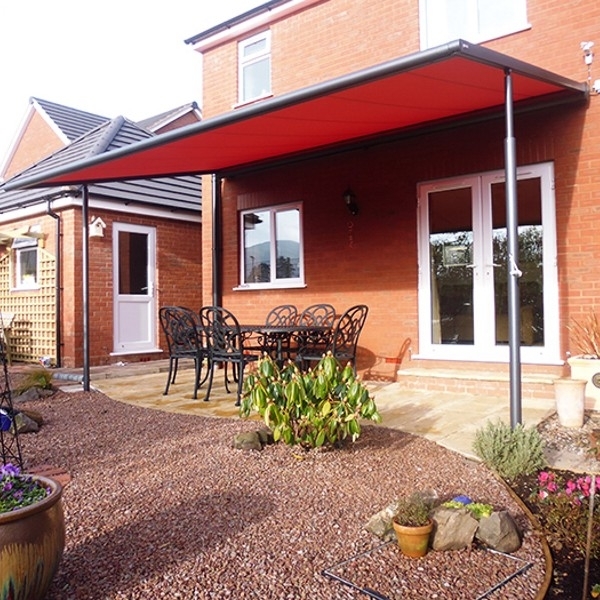 A Terrace Cover is any form of small or large weather protection system for a patio, terrace, balcony or garden area. Samson Doors have plenty of high quality products which are sure to meet your needs. Aluminium fixed structures with either a polycarbonate or glass roof. These structures usually have rainwater guttering built in and optional extras available for infilling the sides and front as required. Items such as vertical blinds, zip screens, sliding glass doors and so on. Various supported fully retractable fabric roof covers capable of covering very large areas with good levels of rain and wind tolerance. The side channels and front supports are usually in aluminium and finished in colours to suit and we also have timber versions. 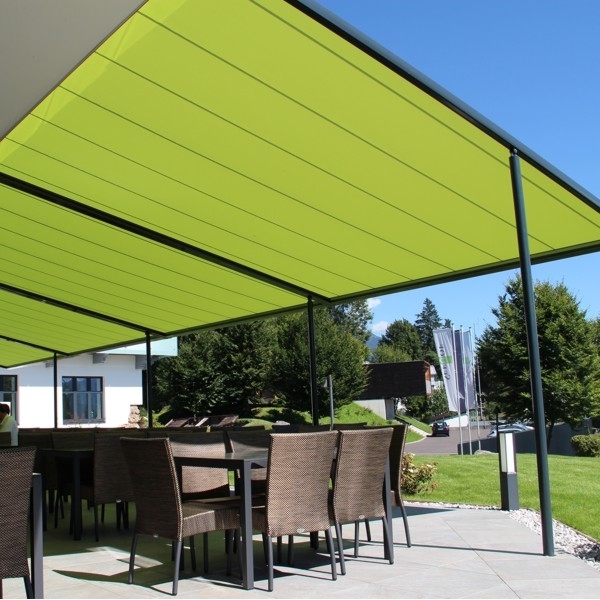 Front and side blinds, screens and other weather protection systems are available to make the most of the outdoor area in various climates.